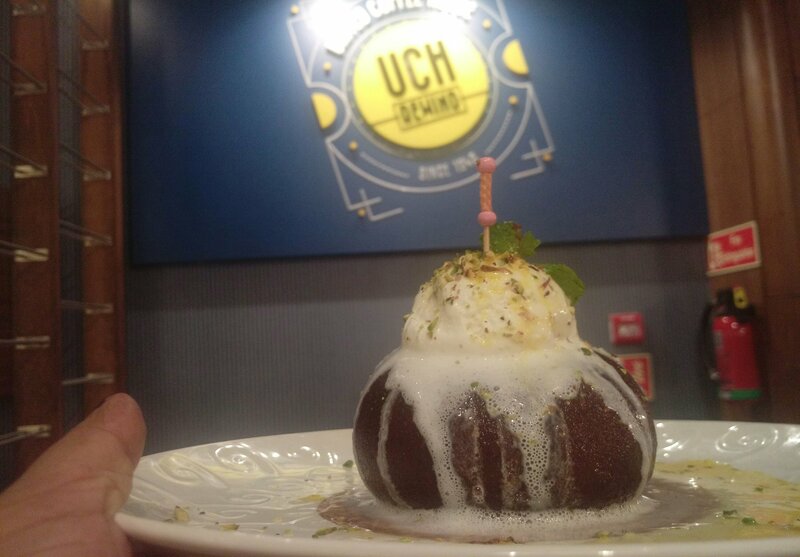 We all have showered our love for United Coffee House at CP. Now with the second outlet of UCH Rewind opening in DLF Cyberhub Gurugram, the food platter scene seems more promising than ever for Gurugram wallas. 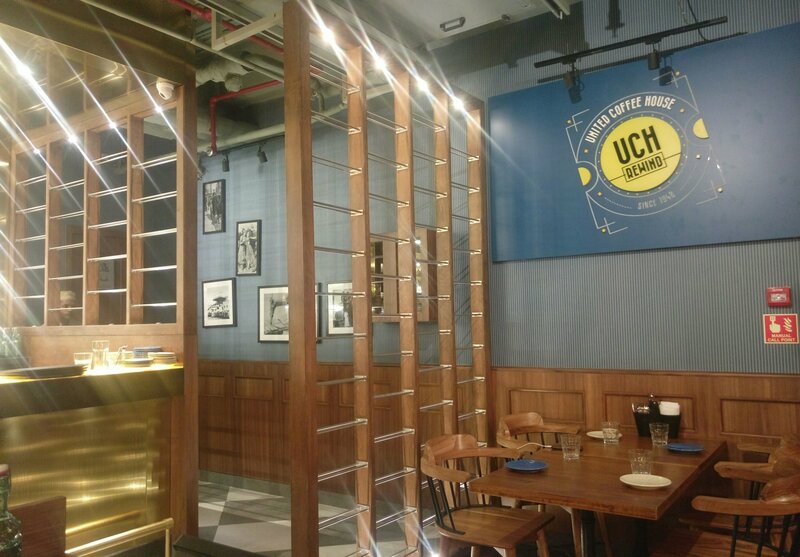 This November UCH Rewind opened its door for Gurgaon food lovers at DLF Cyberhub. With most of its signature dishes and drinks, I have found more food to love at this outlet. 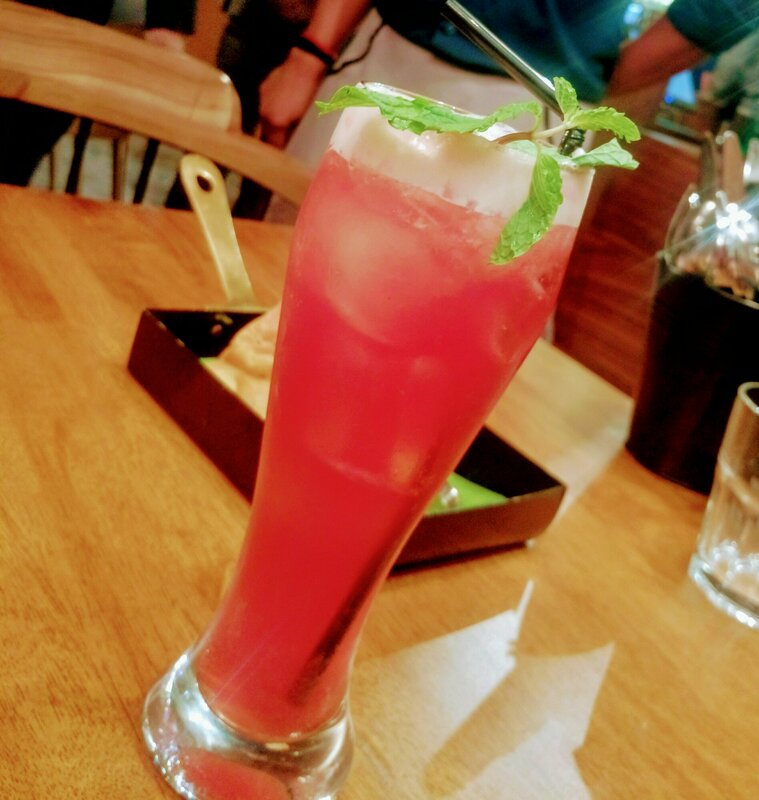 I have been to Noida outlet and just loved it truly with signature JamunRita and the sizzler( read the experience here). At gurugram, I discovered this outlet serving some really exciting and more of my favorite food. #Queens Tale Mocktail: Tea, cranberry, mint, strawberry and peach blended in a chilled mocktail. 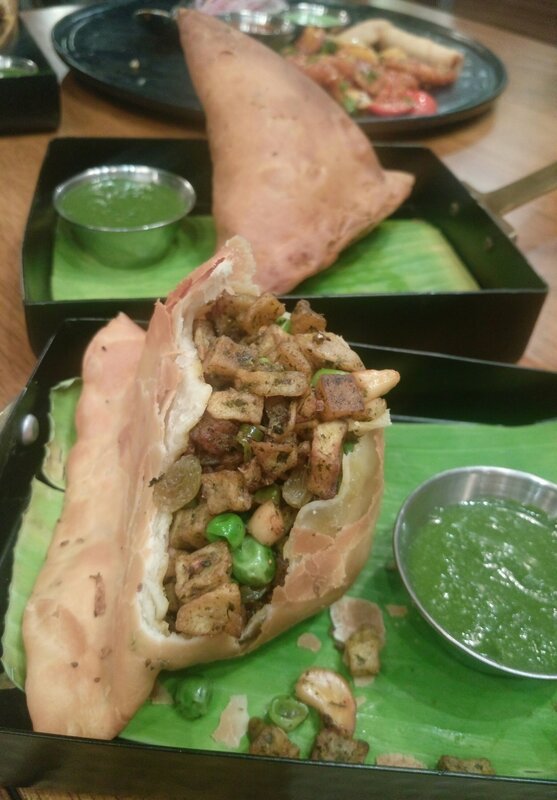 #Daryaganj Giant Samosha: Yes as the name suggests, this is one is not only giant but also loaded with dry fruits and is one of the signature dishes here. and trust me you can’t finish one on your own even if you are a great Samosa fan like me. #Quinoa Tabbouleh: Well Tabbouleh is a Levantine vegetarian dish made of tomatoes, finely chopped parsley, mint, and onion, and seasoned with olive oil, lemon juice, and salt. Here it had Quinoa as the main ingredients. 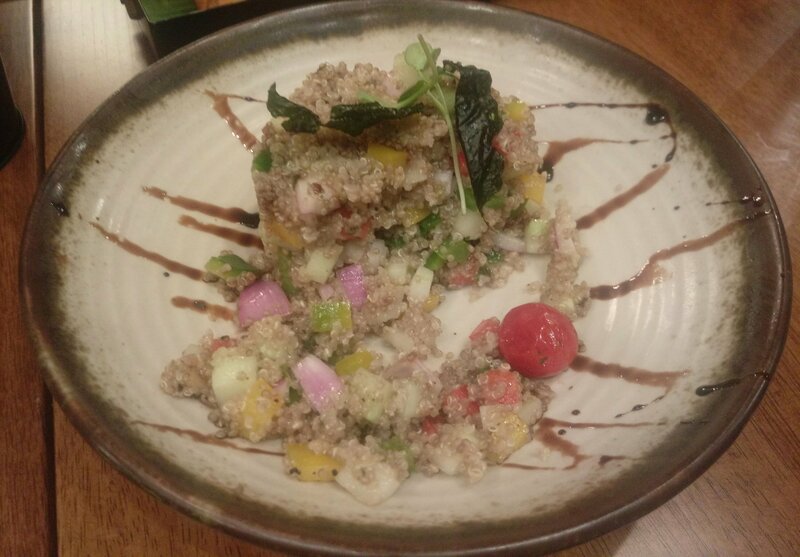 And a great pick for quinoa lovers. Beetroot & Goat cheese Aranchini: I love the experiments with beetroot, as whenever I consume it, it always gives me a sense of having something healthy irrespective it is fried. And yet one more way to consume beetroot. 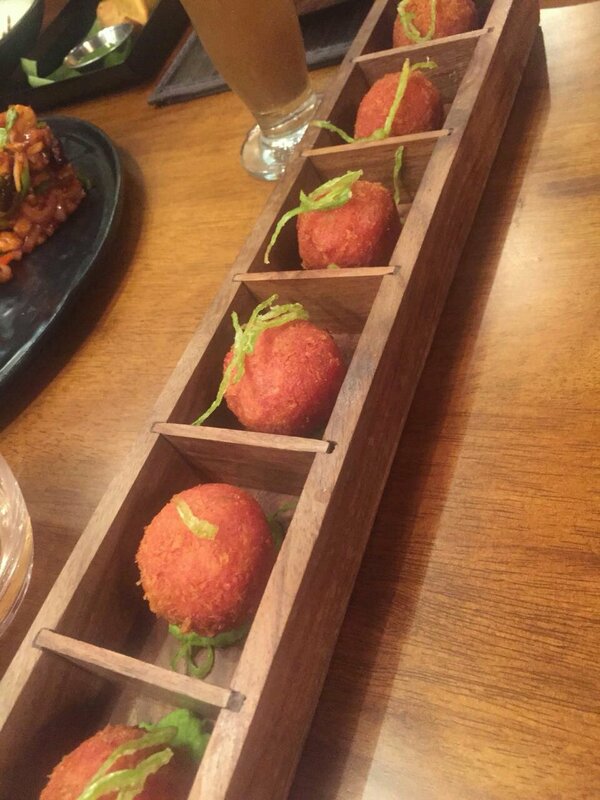 This is served on the Sizzler plate and is a Paneer dish. Loved this Paprika glazed cottage cheese in fresh herbs and white vinegar. 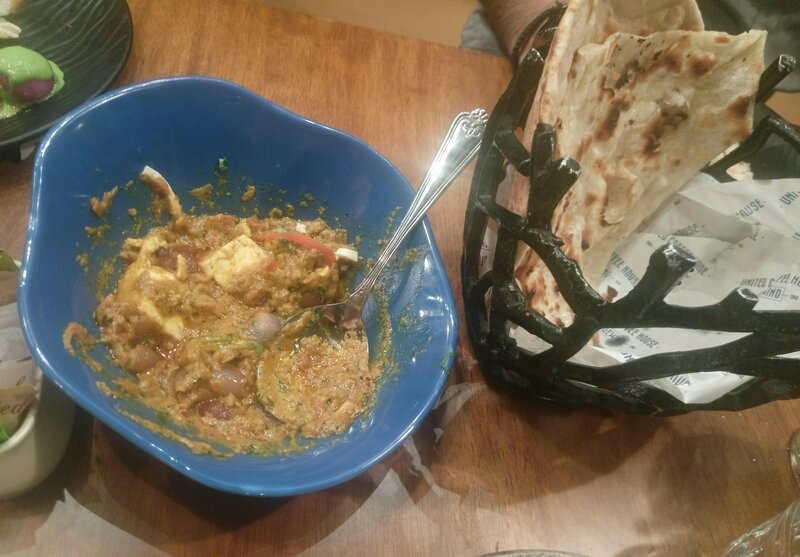 A vegetarian and a Paneer lover can never have enough of Paneer dishes, after having a fair mix of starters ordered for Paneer do pyaza for the main course. And truly loved the gravy. Very few places really get the Paneer dishes right and UCH has mastered that. While non-vegetarian may say it’s almost same everywhere. But not truly. And coming to desserts this place serves the biggest Kala Jamun in town without any doubts. And if you finish it on our own you really have an appetite for desserts. #Atomic Kala Jamun: as the name suggests it’s a blast of sweetness and on record the biggest sweet dish I have had not to mention Kala Jamun. Must be six inches in diameter loaded with a scoop of Vanilla ice-cream and loads of pista. Truly a delight for sweet tooth. 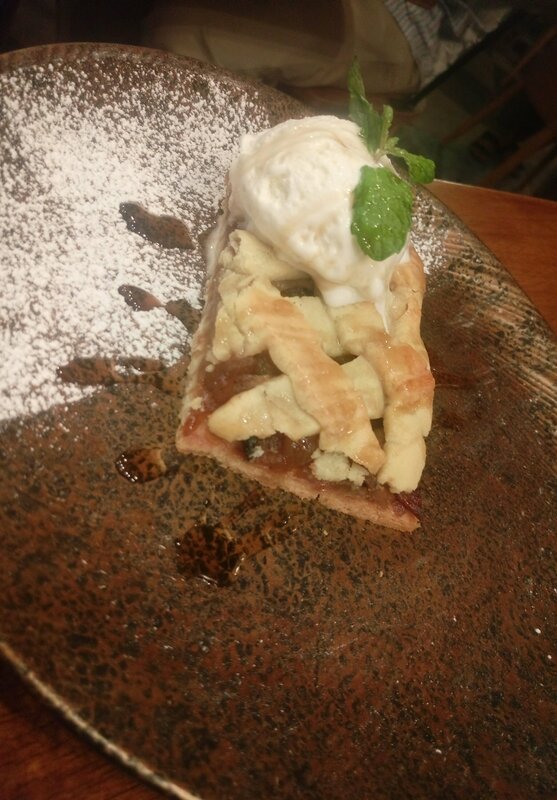 Broomley Apple pie: A regular Apple pie served with a scoop of Vanilla ice cream. What I really wanted to highlight in this Blog was the Coffee and Tea experience at UCH Rewind, but all I could cover is the Food we had. So check out next blog on my cutting chai and coffee experience at UCH Rewind.